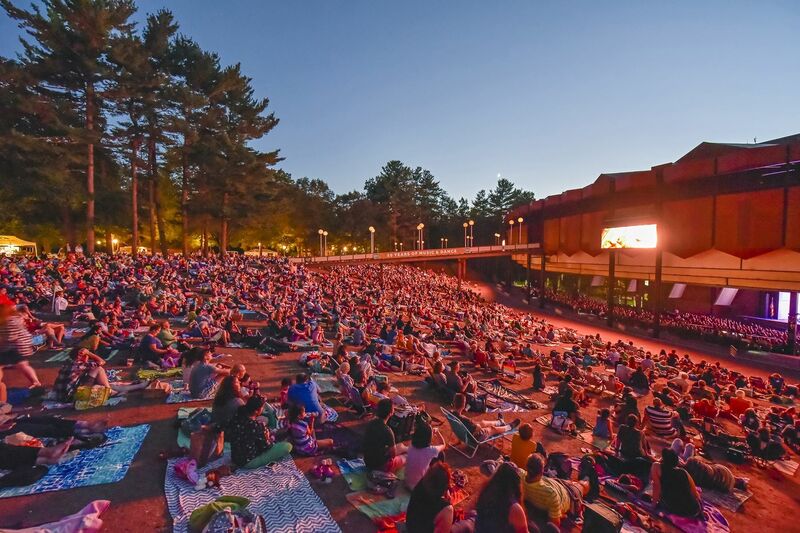 The Philadelphia Orchestra's home for three weeks each August is in Saratoga Springs, N.Y. Even for many Philadelphia Orchestra fans, the orchestra's three-week escape to Saratoga Springs, N.Y., each August happens behind a shroud. And yet, there's novelty there worth hearing; the programs and guest soloists just below the Adirondacks are often different from the ones offered on the orchestra's home turf. But now, what happens in Saratoga won't stay in Saratoga — at least, to some extent. Four of the orchestra's upcoming concerts at the Saratoga Performing Arts Center will be recorded, and, in the fall, broadcast on WRTI-FM (90.1). It appears to be the first time Philadelphia Orchestra concerts from Saratoga will be aired on the station, according to Michael Rathke, WRTI director of programming and content. The initial agreement for the arrangement covers just this summer, but the orchestra, WRTI, and upstate New York radio station WMHT aim to extend the recording-and-broadcast deal, a spokeswoman for the initiative said. WRTI will broadcast the concerts Sundays at 1 p.m. in October — 7, 14, 21 and 28 — and listeners will be able to tune in again each following Monday evening at 7 p.m. on WRTI's classical webstream and HD-2 channel. The concerts to be captured are the ones performed Aug, 8, 10, 15 and 17, all conducted by music director Yannick Nezet-Séguin, with soprano Janai Brugger, pianists Lucas and Arthur Jussen and Serhiy Salov, and violinists Jennifer Koh and Joshua Bell. As for national radio broadcasts, the orchestra's deal with SiriusXM has expired. A second season is likely, but a new contract has not yet been signed, an orchestra spokeswoman said.